Störmede – ‘Dolphins are the angels of the seas – allow yourself to love the angels’. This is the motto of the Dolphin Therapy Center in Marmaris, Turkey. 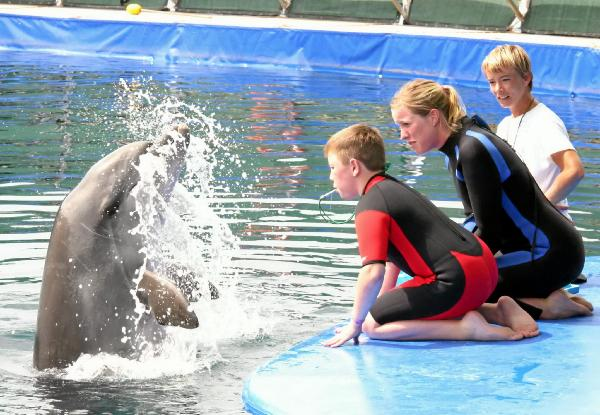 They offer dolphin-assisted therapy for patients from 2 years-old to adults up to 50 years-old in their free- seawater dolphinarium. Experienced therapists supervise the various measures through which many disabled people benefit again and again. Little Tim Hermesmeyer from Stormeder has now also learnt a lot to take home with him. The now 10 year-old has been paralyzed down one side from birth. He has physical, mental and co-ordination deficits which he, together with his mother Birgit, tries to counteract. Due to his condition he is practically, since 5 weeks old, continuously under treatment from various specialists. At Easter 2009 Tim and his Mum turned to the public through this Newspaper to ask for help and assistance to undergo dolphin therapy. The resonance was overwhelming. Clubs, individuals and friends from the whole of Geseke and neighbouring localities donated money and started fund-raising campaigns (as previously reported). In this way Tim and his Mother were able to plan further details and finance their trip to Marmaris . After a journey of altogether 10 hours they arrived at their destination. On the second day there were the first talks with the therapists which resulted in 10 meetings in the water with the sea mammal Flip over a fourteen-day period. Right from the start they were a good team, which the dolphin trainer and the therapists repeatedly confirmed. Additionally to the sessions in the water Tim also had Physiotherapy and riding therapy sessions. As a result the young boy has made definite improvements in his co-ordination, mentally and also in his speech development. The days in Turkey were a big success. 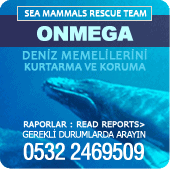 Mother Birgit is now waiting for further developments through the dolphin-days in Turkey. She hopes for further successes for her son. To further this a continuation of the helpful riding therapy will be made. ‘Tim has developed an affinity for animals. He profits enormously from this’ related his Mother in a meeting with our Reporter. She said that local experienced therapists and doctors have confirmed Tim’s positive trend. She also remarked that Tim made many new friends during the trip to Turkey. Tim Hermesmeyer was also allowed to visit the aircraft’s cockpit before take-off at Düsseldorf. 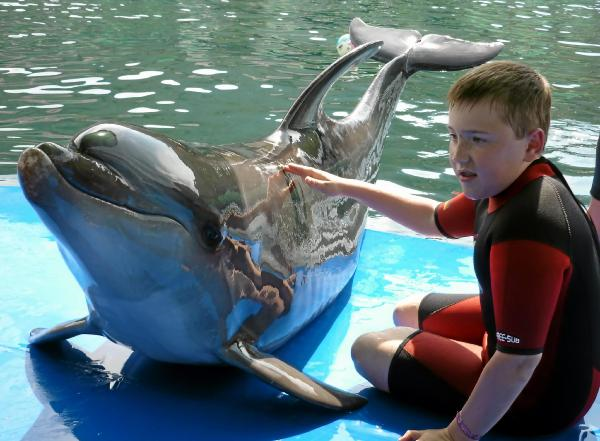 In the ONMEGA Dolphin Park he won the hearts of all the doctors, therapists and trainees. They presented him with a dolphin whistle, which are especially rare in Turkey. One can often hear the whistle now in Stormede at the Hermesmeyer’s. And little Tim thinks back with loving thoughts of his swimming and diving friends in Marmaris, Turkey.